This beautiful Christmas tea light holder from Etsy seller Wendy Jung is made from off white porcelain. 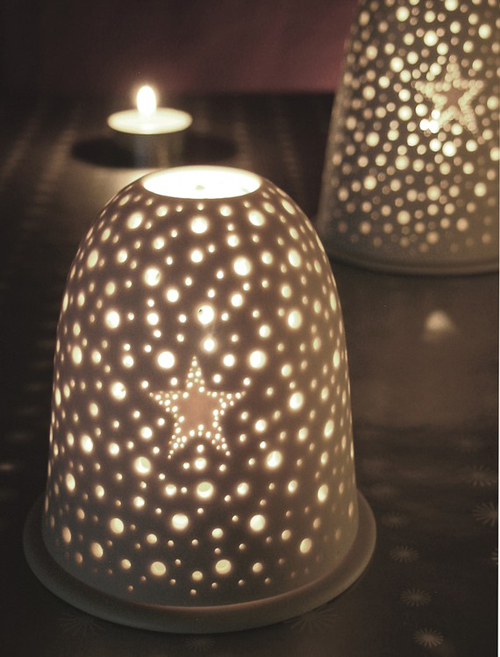 It gives a soft magical glow and cast tiny dancing lights when placed near walls. Another favorite of mine are these hanging vases. Gorgeous! 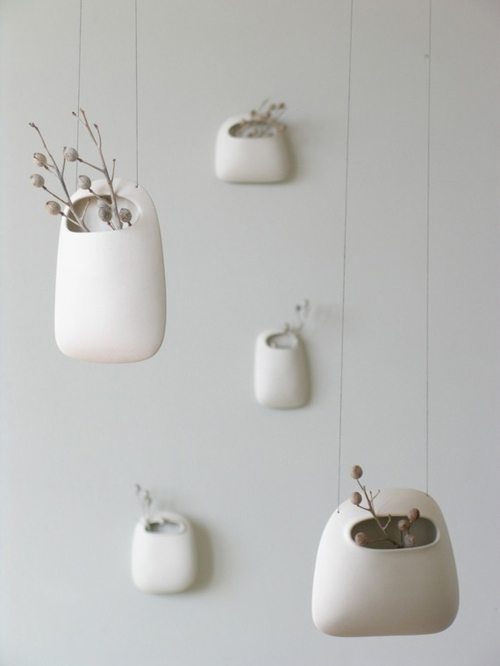 i love the hanging vases… you can create such a wonderful feature with them! Love the hanging vases!! beautiful!! Love the clean lines and their simplicity. A solid design. I love the simplicity of the hanging vases. So peaceful. Congratulations. Beautiful those hanging vases. I will put them om my Christmas wishlist. I love your blog, it´s AWESOME!! !i´m come back again!! Please visit this site to free promote etsy items: http://www.laparisienne.com.es Regards!! These are charming and add some stimulating ch’i (energy) where the feng shui might be stagnant. Great blog! I’ll be back to explore some more.